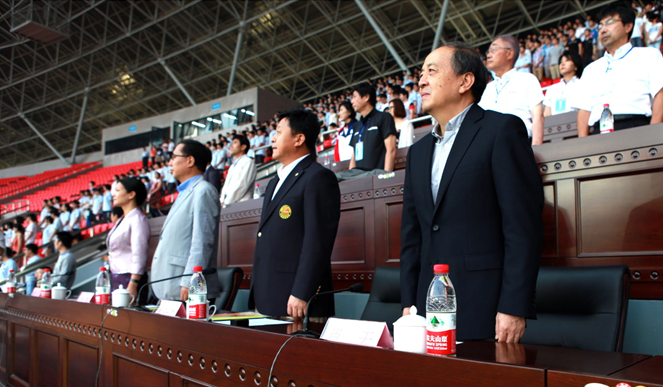 The first edition of China-Japan-Korea Friendship Athletic Meeting drew to an endon 6th July in Jinhua Sport Center, Zhejiang province of China. With an excitingcompetition, 123 athletes from the three nations competed in 14 events. China won 9 golds, 6 silvers and 2 bronzesachieving a clean sweep of all three team titles with a total points of 200.5, Japan scored 170 points and Korea 155.5 points. Mr.Xiao Tian, Vice Minister of General Administration of Sport of China (GASC) attended the opening ceremony.Mr.Du Zhaocai, IAAF Council Member, AAA Senior Vice President and Vice President & Secretary General of Chinese Athletic Association, Ms. Lin Danjun, Vice Mayor of Jinhuamade speeches at the ceremony, in which they extended warmest welcome to all guests and participants from Japan, Korea and China. Mr.Xiao Tian the Vice Minister announced the meeting open. There were many international elite athletes participated in the 14 men and women’s events. The star of the night was Chinese hurdler XieWenjun who won men’s 110mH’s title recently in Shanghai DL and Beijing World Challenge; and Zhao Qinggang, 2013 National Games’ gold medalist also performed very well by winning the javelin gold. 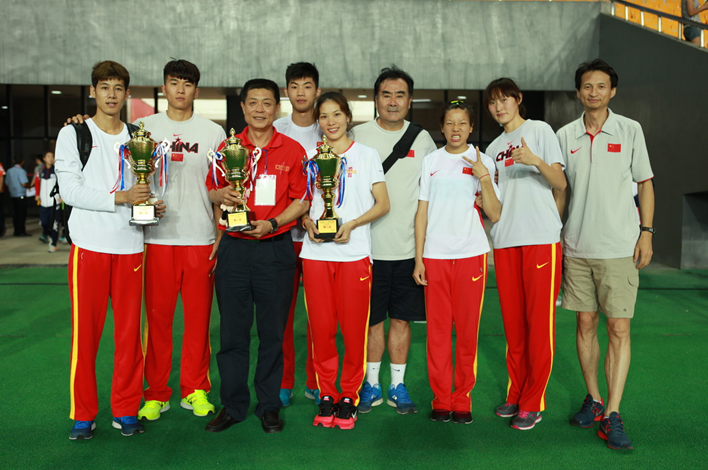 Team China also won woman’s 200m, 800m and other 5 golds. Team Japan and team Korea also made excellent performance, especially in relay events, team Korea won 4x100m men’s relay by 38"74, team China ranked 2ndby only 0.25 seconds behind. 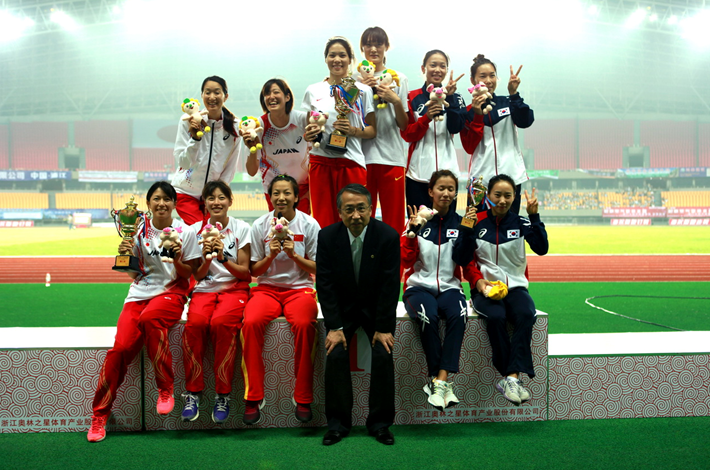 And the 4 Japanese young hurdle runners won woman's 4x400mR’s title by 3'32"46. As the initiator, Chinese Athletic Association (CAA) conducted the 2014 China-Japan-Korea Friendship Athletic Meeting which turned out to bea exciting competition in Asia. 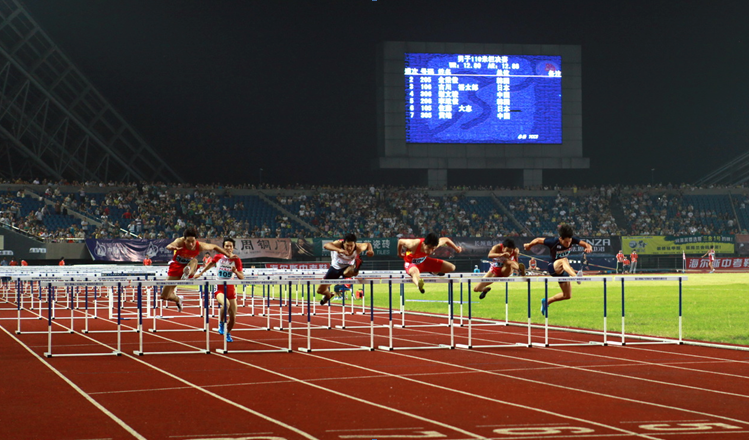 The successful competition promoted East Asia as well as the whole Asia’s athleticsand enhanced the exchanges and friendships among the three countries. By fierce contest and excelling oneself, athletes can feel the charm of the sport of athletics under fare play, get better understanding of the sportsmanship, develop and expand the concept of peace and harmony, to build a bridge forward to a bright future. 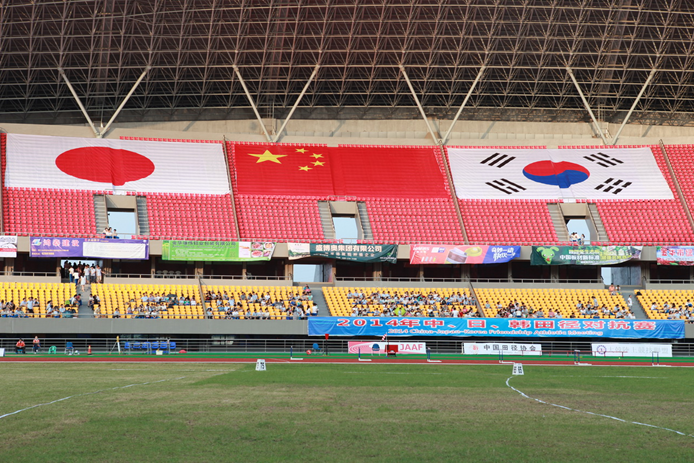 This athletics gathering is a platform of cultural exchanges, and is also a stage the participants can enjoy happiness and friendship together. To make a better contribution in East Asia and the whole Asia, the three nations will make this event as a traditional event by taking turns to host it every year. Next meeting will be held in Sapporo,Japan in 2015.